If you’re around men’s style long enough, you’re going to hear the word sprezzatura. It’s a 400-year-old Italian word that for many guys is the pinnacle of men’s style. Sprezzatura is the art of looking effortlessly stylish – as if you just rolled out of bed looking amazing without even trying. So how to achieve that? Read on to find out. What if someone could make all the effort for you? Check out Bombfell, the sponsor of today’s article. Bombfell is an easier way to dress sharp for men. It’s fully personalized – every piece hand-picked for you by your own stylist. You can choose the clothes yourself or just tell them your preferences and say, ‘Surprise me’. They let you try all the clothing for 7 days for free and only pay for what you decide to keep. If you keep two items you save 10%, if you keep three items you save 15%, and if you keep four items you save 20% on the entire purchase. 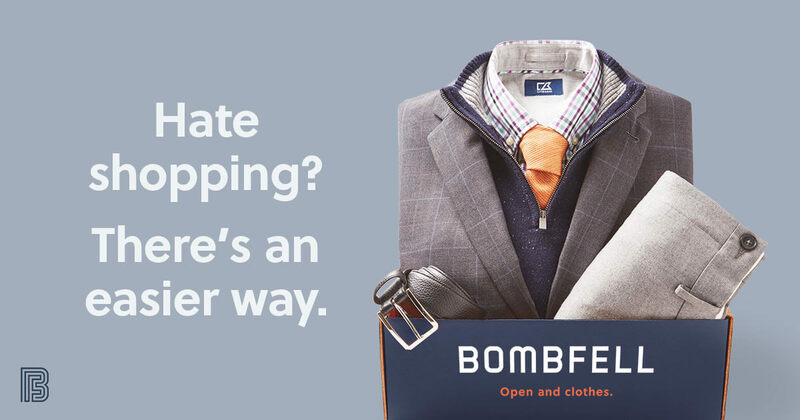 Click here to check out Bombfell and get $25 off your first purchase. Go for an interchangeable wardrobe – where all of your shoes, trousers, shirts, and jackets work together. 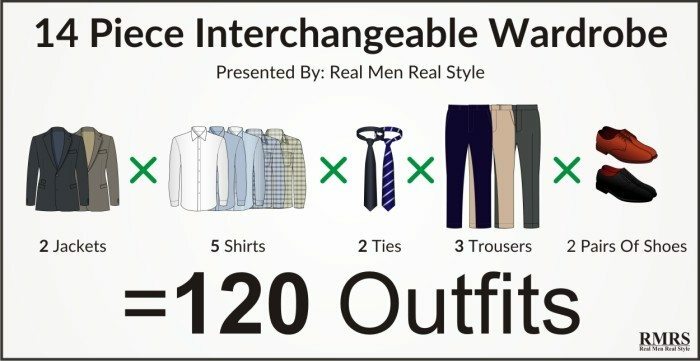 If you’ve got three pairs of shoes that are interchangeable with three trousers, three shirts, and three jackets, that’s 3 x 3 x 3 x 3 = 81 combinations – almost enough clothing to go three months without wearing the same thing. To make them all interchangeable, stick with a similar color or series of colors in each section. For instance, I make a habit of buying brown leather boots, so I can safely assume all of my accessories are going to work with them. When it comes to pants I go with blue or gray 90% of the time, because those two colors work with almost everything in my interchangeable wardrobe. I particularly love dark blue jeans, which definitely work with the boots and match almost any sports jacket in my arsenal. Most of the shirts in my wardrobe are blues and whites. If you think that’s boring you’ve got no imagination. You can get any number of beautiful patterns in those two colors. And any one of my shirts will go with any of my interchangeable trousers and sports jackets. In jackets, I go for three colors – browns, blues, and greens. A sports jacket, a leather jacket, a trucker jacket, or a suede jacket in any of those colors will look great with a blue or white shirt, dark blue jeans and brown boots. Because I took the time to put together an interchangeable wardrobe, every item works with every other piece. A style curator is an expert who understands body types and complexions (like a museum curator understands dinosaur bones, although hopefully you’re in better shape). They can look at you, listen to your needs and wants, and put together a set of outfits so that you can start to look sharp without having to put in much work. 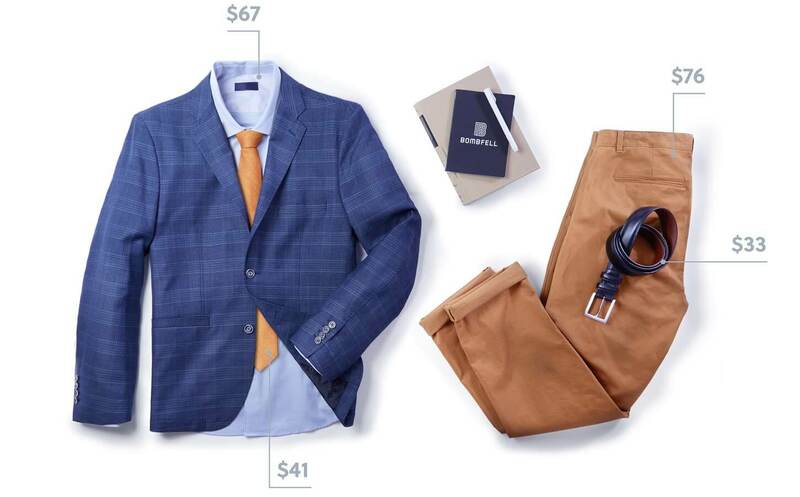 It’ll cost you quite a bit of money if you want to work with someone whose sole job is to put outfits together – but on the other hand, you’re basically buying sprezzatura. For a cheaper option no matter where you are in the world, click here to check out Bombfell. Get rid of all the clutter that’s getting in the way and distracting you from looking your best. Anything that’s stained or irreparably damaged – toss it. Anything you’re not sure about, put it in a box. If you don’t open the box for a year – donate it. Now look in your empty drawers. If you’ve only got three pairs of socks left, go buy some new socks – but look at the kind you actually wear, the kind you really like, and get duplicates. Nothing wrong with having some identical socks. Then go look at your shoes – if you’re wearing the same boots again and again, maybe some in a slightly different color but the same style. What you’re doing is starting to develop a uniform. Don’t think ‘uniform’ and ‘sprezzatura’ are opposites – when you create your own uniform it’s YOUR chosen form of self-expression. It allows you to control your image and send the message you want to send. Click here to create your uniform with Bombfell. A lot of you resist spending good money on nice sunglasses or other accessories. Then you get stuck in a loop where you don’t take care of your sunglasses because you know they’re cheap, so you end up blowing just as much money breaking multiple cheap pairs. When I first spent good money on a nice pair of sunglasses, I was amazed at how much better I could see. Then I was amazed at how I suddenly turned into a guy who was careful with his sunglasses. Try bringing in some variety – something with a bit of color, a reflective lens, or a different style. If you’ve been stuck in the aviators/wayfarers binary, try taking a third option and bringing in a pair of clubmasters. It’ll immediately change your appearance. My point is that accessories can have a huge effect on your overall look. So make sure you pay attention to them. Style is like a chain – it’s only as strong as its weakest link. Ever had that feeling when you’ve got a big presentation and nothing is right? You can’t find your keys, your sports jacket has a stain, you can’t find your trousers or shirt because they’re down in the laundry, your shoes are scuffed. You are not prepared. Make it easier for yourself. Set up systems. Try getting a valet stand and setting your outfit and all your accessories out on it the night before. I love waking up and seeing everything in its place ready to go – my jacket is hung, my trousers are pressed, my shoes are shined, and there’s even a place for my keys. When you have systems like this it’s easy to look like you were born with sprezzatura. This is a mind hack. Try dressing sharp for an audience of one: yourself. When you’re at home, practice dressing sharp and trying out new styles. Literally dress better at home when no one sees you than you do when you go out. We worry about what other people think of us… but they’re too busy worrying about what we think of them. So dressing well at home is about you building confidence to become a better-dressed man. You’re practicing. So one day you start to realize, ‘I feel pretty good in this bow tie. Maybe I’ll wear it around town.’ Nobody says anything bad… in fact, you get compliments. You start to build up confidence bit by bit. Before you know it, you’ve become a sharp-dressed man with ‘natural’ sprezzatura – simply by practicing and dressing better on your own. Steal some sprezzatura from your favorite celebrity – copy the style of your favorite musician or your favorite actor. Nobody will notice except you – and you’ll feel great when you look in the mirror. Pick a celebrity who has some physical traits in common with you. If you’ve got a complexion like Idris Elba, look at the colors that work with his dark complexion and steal those. 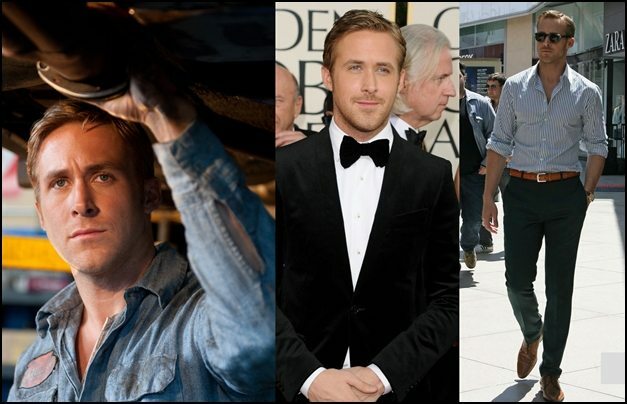 If you’ve got the build of Ryan Gosling and you’ve got his lighter complexion, look at what looks great on him. And if this still sounds like a lot of work – that’s what Bombfell are here for. I had them put together an outfit for me and I loved it – they got the fit spot on. It’s individually curated – a personal stylist picks everything specifically for you. You can adjust things before they send them out, and you can send everything back if you don’t want it. I just love a service like this that makes it easier for you to become a sharp-dressed man. Click here to check out Bombfell and claim a special RMRS discount on your first purchase.